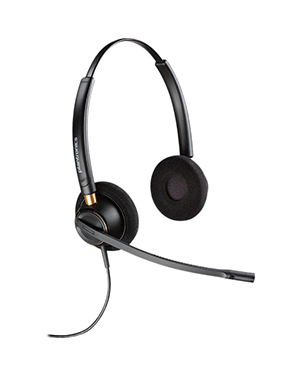 Plantronics EncorePro HW520 OTH Binaural Headset is a dual-eared audio device that has been designed with super soft ear cushions that allows users to benefit from the headset for the entire day, which is perfect of typic office workers and contact centre agents. It is also lightweight and has an ergonomic fit, which means that it offers incredible comfort to users. 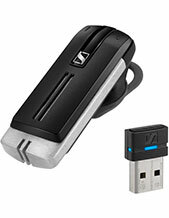 Plantronics EncorePro HW520 OTH Binaural Headset does now only offer incredible comfort but also top-notch technology. It is integrated with noise-cancelling technology and wideband audio quality that helps users be heard more clearly and be able to hear better from the other side of the line. If you want this product, you can have it! Call now at Australia wide 1300 131 133 hotline for details how! 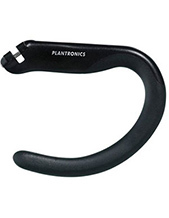 Plantronics, an American consumer electronics enterprise established in the year 1961, is an expert developer and manufacturer of audio products and solutions. It is currently headquartered in Santa Cruz, California, where it is led by President and CEO Joe Burton. With the support of approximately 5,000 employed experts, the company is responsible for producing corded headsets, Bluetooth headsets, and other business and consumer audio products. 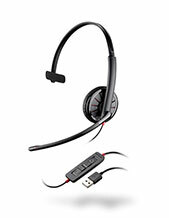 Plantronics also has products that are able to support music, gaming, mobile usage, and unified communications. And all of the products and solutions manufactured by the company are produced in Mexico and China. All of these product offers are ensured to have high quality then and there. Plantronics was incorporated in the year 1988 and has take an excellent step towards success by creating even more diverse products, including headsets and devices that are for hearing impaired users. This is how the company is able to excellently provide to contact centres and offices. Headsetsonline Pty Ltd is an Australian supplier and provider of audio and sound products and solutions to corporate sectors and government agencies. The company started out as part of a popular enterprise that has been an audio product provider since the year 1998 and has been doing it well. It is through its experience under the enterprise that the company was able to polish its operations on how to cater to customers of all types. Headsetsonline sources its products and solutions from Australian distributors and not grey imports, which means that all items from the company are ensured to have Australian standards certification. In addition to that, the company also makes sure that all the warranties that go together with the products and solutions can be used by customers all over the country. Headsetsonline operates and conducts transactions through the company’s enterprise-encrypted and secured site: Headsetsonline.com.au, where customers can check out the products they need then and there.